Bremen - Borussia Dortmund coach Jürgen Klopp is hoping his side can record back-to-back Bundesliga wins for the first time since the beginning of November when die Schwarz-Gelben travel to SV Werder Bremen on Saturday afternoon (kick-off 15:30 CET). BVB have won eight of their last 11 matches against Bremen - more than against any other side in the Klopp era - with the last five meetings between the two teams all ending in victory for the Westphalians. 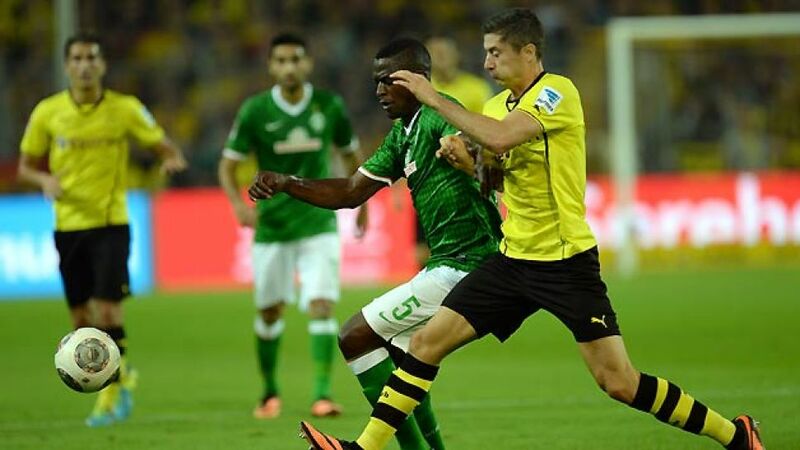 Klopp is yet to decide who will line up in defence at the Weser-Stadion on Saturday. Sven Bender could revert to centre-back in the absence of Mats Hummels, who has been ruled out for two weeks with a foot injury, while Lukas Piszczek is also vying for a starting berth after making his first league appearance of 2014 against Eintracht Braunschweig seven days ago. “We’ve got several players working their way back into the fold, including ‘Piszczu’, so we’ve got plenty of options to choose from,” said the BVB coach. Klopp’s opposite number Robin Dutt, meanwhile, has revealed that vice-captain Aaron Hunt is likely to return following a knee problem that forced the 27-year-old to miss Matchday 19’s defeat to FC Augsburg. “Aaron is in good shape and I expect him to be available for Saturday,” said Dutt, who is set to hand winter-signing Ludovic Obraniak his debut on Saturday. “He’s settled in very well and made a good impression in training this week,” he added.